Toronto received a taste of a highly seasoned Paolo Nutini when the Scottish alt-R&B singer-songwriter hit the Sound Academy for a stand out performance last night. Nutini, whose third much anticipated album, Caustic Love, dropped to rave reviews back in April, opened the show with recent single “Scream (Funk My Life Up),” putting his signature rasp on full display right off the top. Further punctuated by the harmonies of a female back-up vocalist, Nutini wailed away while a full backing band, which included an absolutely electric horn section, built the song up around him until it reached a thundering, brassy crescendo. Pausing briefly, a confident and almost matter-of-fact Nutini addressed the crowd: “I’d like to introduce…myself. I’m Paolo. I’d also like to introduce these guys. They’re The Vipers. Thanks for coming to check out the show,” before launching into a cool, causal rendition of “Coming Up Easy” off of his second album, 2009’s Sunny Side Up. Wearing a stark white t-shirt, and leaning deeply into the mic stand, Nutini had the crowd––which was something of a mixed bag––swooning with every breath he took. 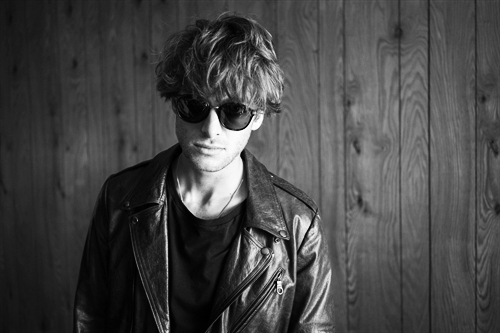 With five long years between releases, Nutini has clocked plenty of time on the road and it shows. From the rawness and strain in his vocals to his casually sexed stage presence to the tight knit dynamic of his backing band, this guy is a true artist and entertainer. Not only does Nutini exude that inherent from the gut soul that made traditional R&B so primal the first time around but he does it with this unassuming boy next door awkwardness that makes him endearing. Going on to play a reworked 70’s power guitar version of his hit “Jenny Don’t Be Hasty,” and then blowing through everything from “Better Man,” “Cherry Blossom” and “Candy” to “Pencil Full of Lead” and a fully invested version of his most recent single “Iron Sky,” it was of course, the always heart-breaking “Last Request” that most of the audience was eager to hear. Though Nutini made sure to wait until the very last second to perform it, he delivered. Mind you it was a much more breezy, island-esc rendition of the song than is heard on the album and one which the crowd refused to adhere to when chiming in on the chorus, but a well imagined closing to an expertly delivered set none the less.